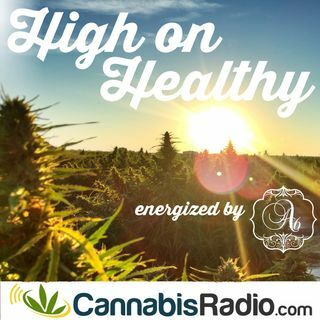 Today on High On Healthy we are joined by Ellen Jackson. Ellen is a successful entrepreneur and life coach with Sync Life 1320, which focuses on guiding and supporting you towards your purpose in life. Through life coaching and retreats, one can expect insightful experiences and personal growth. It’s important to learn we are ever-changing masterpiece’s in motion, rooted in cosmic timelessness. They speak about some of the greatest challenges met and how she overcame them. Also the most ... See More wonderful experiences and memories she has created in the cannabis industry.